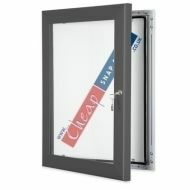 Slate Grey (RAL 7015) Poster frames that are lockable and waterproof. Available in 11 standard sizes from A4 to 40x60 inches, but bespoke sizes also available. 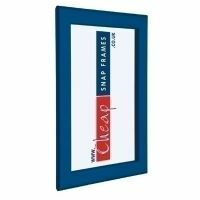 This key lockable poster frame can be displayed portrait or landscape, and door stays keep the door open whilst posters are changed. This is a high specification poster display frame and a popular grey external poster frame.